Mistakes are made in the healthcare field every day throughout the United States. Although many of these errors are minor and often overlooked, a few of these mistakes forever alter the lives of the affected patients. What would you do if you were one of those unlucky few? Would you file a malpractice claim with the hope that justice will be on your side? How do you know if your situation actually merits a settlement? Before wasting your time, energy, and money pursuing a shaky claim, let us help make sure your medical malpractice case is strong enough to pursue. Unfortunately, a good case isn't won by desire alone. Believing that your injuries were the result of medical negligence is only the first step toward establishing a reasonable and successful claim. 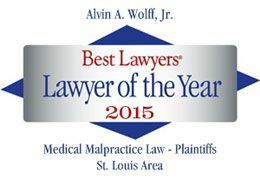 Thousands of malpractice claims are denied every year because claimants rush to file without realizing what they needed to secure their case. We won't let you waste your time by filing short. Record of good health. Reports indicating that you were in good health prior to the malpractice incident will show that your current condition cannot be attributed to prior health issues. A severe injury. Loss of mobility, limb, or life as the direct result of medical negligence or error make the strongest cases for settlement. Outcome was caused by negligence. The failure of a doctor, nurse, care-provider, or hospital to properly monitor, communicate, or provide essential care was the clear cause of your outcome. Our attorneys have the expertise to examine your malpractice case and determine its viability. Don't make this decision alone. Contact us today for a free consultation and review of your case. We'll not only give you peace of mind, but we'll also give you options on how, when, or even if to pursue your claim. Call us at (314) 241-2500 to set up an appointment and put your worries to rest. Use social media to share this page with loved ones via Facebook. Click the media icons to show your support and help get the word out that hospitals are not above the law.